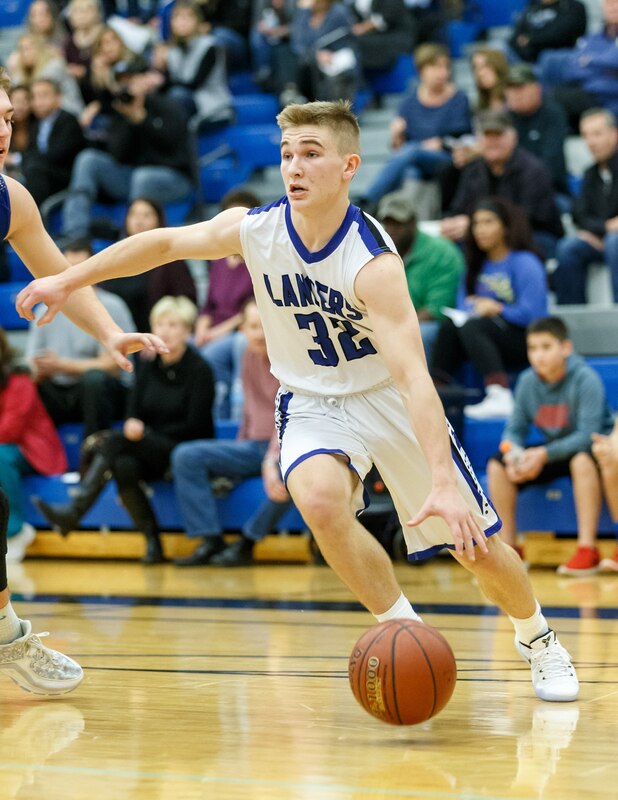 When Brookfield Central boys basketball coach Dan Wandrey was asked when he knew Gage Malensek was going to be something special, it didn't take him long to think about it. "About a minute into the first game I saw him," Wandrey said, chuckling. "There is just something about kids. When you see them you can tell. Then as you get to know him and you get to talk to people. He's an absolute gym rat. I know I'm not very smart, but it didn't take very long to know he was special." Malensek, who played on a fourth-grade team as a third grader, played with brother Gunnar, who played with Caleb Mortag, the older brother of current girls freshman star, Anna Mortag. Winning caught Gage's attention as he went through the Jr. Lancers system. "I think it was just the winning," he said on why he developed a love for basketball. "We won little league, third-grade; we were with Tosa East, neck-to-neck, in fourth grade and then won state titles in fifth, sixth and seventh grades." Gage's brothers (Hunter and Gunnar) were in Wandrey's classes and they were on the boys teams before he took over. "I heard about these two kids (Gunnar and Gage)," Wandrey recalled. "As talk of coach (Mark) Adams' retirement and me possibly moving over, I was already aware of those guys. I wouldn't say that played a big role in my decision. But I've known about him (Gage) and saw him play (with Jr. Lancers, AAU) even before I became the boys coach. As a freshman, Gage was second-team All-Greater Metro Conference and finished second in scoring and field goals as a starter for the Lancers. That year of experience helped him according to Gage and Wandrey. "I was kind of assuming it," Gage said of playing a lot since he was on the varsity as a freshman. "It helped a lot this year, especially when you knew the team, you knew the offense. I'll help coach (Wandrey) on the court. Like he said you can't just have people yelling on the sideline." Wandrey can see the obvious improvement in his second year point guard. "He has improved a lot," he said. "Gage was good for us last year - he didn't play like a freshman. His skill is beyond his years. He has a mentality and a composure to himself. To be beyond his years, that almost increased exponentially this year. "He hit a game-winning shot last year against a cross-town rival." Wandrey said. "He had an incredible game in beating Marquette here and then in the regional final game he had great game, but we lost a close one. He was really good." Malensek had 15 points in a 53-52 win over Brookfield East and 18 points in a 69-63 loss to MUHS in the regular season. In the 54-47 playoff loss to the Hilltoppers, he had 13 points and 4 assists. "You can always believe that you're that good," Wandrey said. "You can have confidence that you can make plays. But I think it's get nothing but better when you actually go and do it. We're seeing the benefits of that this year." Malensek is leading the Lancers in scoring average (20.0), field goals made, attempted and field goal percentage, free throws made, attempted and free throw percentage, assists per game (4.8) and assists. He was second in steals and third in 3-pointers made. Wandrey is still amazed by what Malensek does. "I think probably one of the best compliments I can give him is at Menomonee Falls (82-65 loss in season finale) he's sitting on the bench and I'm thinking he's not having a very good game. But he had 25 points, 4 assists, 3 rebounds. It's been incredible. "He's the leading scorer in the conference; leader in assists, probably one of the leaders in minutes played. It's impressive. It really is. He's one of the reasons we're as good as we've been. But it's not like it’s a bad team where he can go out there and do whatever he wants." 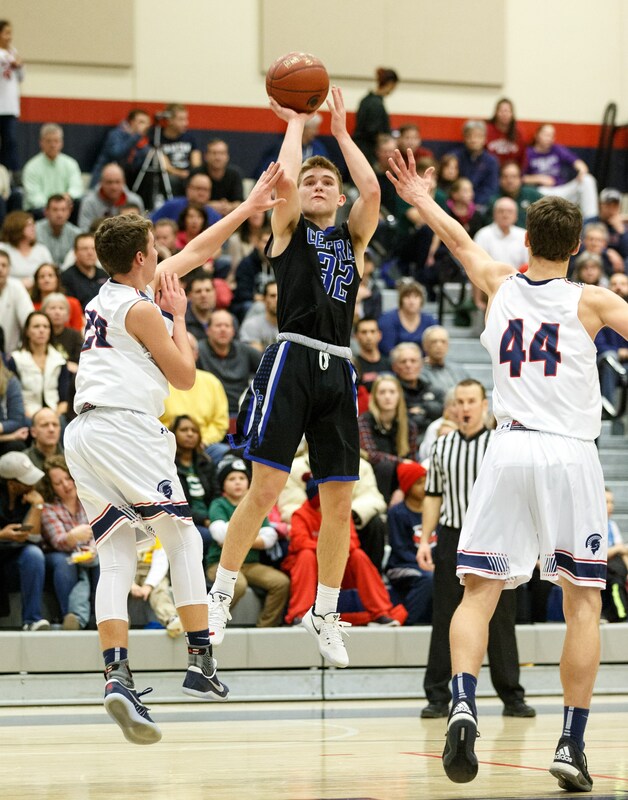 Malensek can look to three other excellent shooters to work with in junior Andres Peralta-Werns (14.5 points, .446 shooting percentage), senior Sam Rohde (10.9, .519, .479 3-point percentage) and sophomore Cole Nau (10.1, .424). And he takes advantage of that. "We have gaps," he said. "(We have guys) on the wing and me in a lane. It's like having someone always there on every single shot - each corner, at the top of the key. Getting the pass to the right players in one of my strengths. "It's me starting it off and them finishing it. I like passing. It makes them feel good. It makes me feel good. They have confidence in me and I have confidence in them. It goes hand in hand. I pass to them one time and then it's my turn. We have all options and all angles to deal with. "I have three shooters on each side of me and we have guys coming off the bench who can shoot. I feel comfortable now. We're winning games and we're getting four people in double digits." Wandrey then got into what he felt made Malensek a "special player." "His work ethic," he said. "The guy has worked incredibly hard to get to where he's at. He has an incredible passion for basketball. His toughness. He's physically strong, he's mentally strong. Then you watch him play. "People don't understand on how good a shooter he is. He's so good with the ball. He's a good shooter, a great decision-maker, incredibly gifted with the ball. What's really neat about those things is he's found ways to get better. Wandrey then talked about his improvement this year. "His ball handling," he said. "He has an incredible change of pace where he can get by guys and do things - he almost lulls them to sleep, keeps them off balance. He's got a great pull-up game. He's got a knack for being able to finish in different ways." Wandrey then went back to last year's Marquette games. "He finished at the rim. Another time he shot a floater. Another time he shot a pull-up. Those big athletic guys - and Marquette had a bunch of them last year - were physically, mentally off-balance. It's like he choose the right move every time." Wandrey pointed out that with the game on the line, he likes the fact that Malensek wants the ball in his hands. "From his standpoint it's the result of all the hard work he's put in," he said. "He's a gym rat. He's working on his game and he's getting better. We have a lot of players who are really good - but not a lot of players thrive on demanding that ball. So what's really nice is he wants it. He knows how to go about getting it. His teammates know that he wants it. Good things are going to happen when he has it." The Lancers captains are Rohde and center Chris Post, both seniors. But on the court, Malensek takes on a leadership role as a point guard. "I'm just a very talkative guy," Gage said. "Talking about offense especially. If we have foul troubles and we have new guys come in, I help set plays, knowing what they're comfortable at. Directing them, especially on defense too. I like that." Wandrey does see Malensek as a leader despite his sophomore standing. "He has respect them from his teammates and coaches - it's not about being the best player - the work and the efforts that he has put in that has brought a lot of respect from his teammates. "Right or wrong, people look at good players, look up at them and expect them to be leaders. Sometimes it doesn't work that way, but in his case it does." Wandrey might surprise you when asked what Malensek needs to do to get better. "We talk about him being a good shooter," he said. "I don't think he shoots enough from the perimeter. He's been so good at getting by people and getting to the basket he might depend on that a little bit. He needs to look for his outside shot a little bit more. "He can become a better defender. He's pretty good on the ball. We're had some situations where he hasn't been great off the ball. As he's going forward he needs to be a leader and a vocal leader. In those areas that will improve in time and hopefully, we will ask him to get a little bit better." Which is certainly bad news for Greater Metro Conference opponents. FAVORITE MOVIE: Now You See Me, Now You Don't. Magic & Action movies. MOST MEMORABLE SPORTS MOMENT: Game-winning basket over Brookfield East last year. WHAT WOULD YOU LIKE TO DO IN THE FUTURE? Attend college and play basketball.